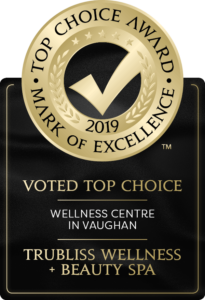 TruBliss is all about making your experience with us the very best it can be! We ask that you please respect the following policies and etiquette. We’re Reserving This Time Especially For You. We require 48-hours notice for Spa cancellations without penalty. Cancellations received within 48-hours will be subject to a $50 Cancellation Fee, Per Cancelled Treatment. Arrival Time: Please arrive 15 – 30 minutes prior to your appointment so that you can complete your Consultation card and Relax before your Spa Wellness Experience. You’re always welcome to relax in our Lounge before and after your treatments and enjoy the complimentary beverages for as long as you like. We appreciate that everyone’s time is precious and we’re committed to offering all of our guests a reliable timetable. If you arrive late for your appointment, we will do our best to accommodate your full booking. However, if that’s not available, you will be billed for the full cost of the original booking. Thank You for understanding and for respecting our time. Please Note: Minimum age of 14 years is required for spa guests unless otherwise approved. In consideration of other guests, the Tranquility Lounge and Spa Rooms are a cell phone free area. Being a small business we prefer and appreciate Debit or Cash as payment methods as it helps keep our costs low. We do also accept Visa and MasterCard for your convenience. And of course we accept our very own “Follow Your TruBliss” Gift Cards. Tipping is not necessary, and also left up to the discretion of our clients. TruBliss team members are passionate about what they do and are committed to serving you. Your return visits are the best tip and referrals of a friend, family member or co-worker are greatly appreciated. Your Service Provider Receives 100% of All Gratuities. We suggest you wear casual attire-something you can easily slip off and on without fussing. If modesty is an issue please don’t hesitate to chat to us about treatments that can be done while you’re fully clothed. We provide any necessary towels or robes for you to wear during your visit. Treatments are conducted free of jewelry so please remove all jewelry and valuables. We cannot accept responsibility for any loss or damage to your personal property. We recommend that you leave your more valuable items at home. We ask that you please keep track of your personal belongings during your visit. We never require you to disrobe if it makes you uncomfortable. Our practitioners are trained in the “art of draping.” They will leave the treatment room while you get under the sheet on the table, keep you covered at all times, except for the area of the body they are working on, and will leave the treatment room before you get up from the table. If you need to shave (particularly beardless men receiving a facial), do it at least two hours before your appointment. If you have booked a body scrub, we highly recommend shaving the day before since we can assure you that rubbing salt into the slightest razor wound is not a very relaxing experience. It’s best not to receive bodywork on a full stomach. Drink water, especially if heat therapies are part of your package. Since bodywork introduces clean, oxygenated and nourished fluids into your tissues and stimulates your body to purge toxins, it is important to flush them out by drinking plenty of water. Be aware of what you’re putting into your nice clean body after your treatments, especially refined sugars, high fats, caffeine and most importantly, alcohol – any of these may have a stronger effect on you than normal. Toxins that are not flushed from your body can be reabsorbed and may give you a “toxin hangover.” If this happens, drink more water! Because the spa environment should be a tranquil and stress-reducing experience, we request that cell phones are turned off or put on silent before entering the facility. Quiet, Please be mindful of other Guests’ space. While we welcome you to engage in quiet conversation, please refrain from speaking loudly while in the Tranquility Lounge, as it’s a place for Guests to enjoy and savour a much needed private and quiet moment to read, meditate or simply to relax. 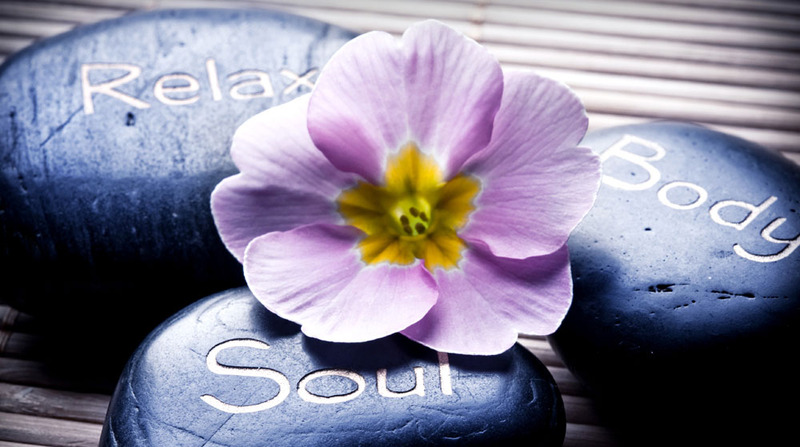 This is your time to Unwind, Rejuvenate and Relax. Please make arrangements for child-care during your treatments. To insure all our guests a comfortable and relaxing visit, we request children under the age of 14, be left in the care of a relative or friend. If your treatment is taking place in the Hair Salon, Please do not leave your children in the Tranquility Lounge, they are welcome to wait with you in the Salon Area. If you have any type of medical condition, be sure to mention it when you book an appointment. Certain treatments may not be advisable for you. Also, before your treatment begins, let your therapist or aesthetician know of any medical concerns. Please be courteous by cancelling your appointment if you’re not dealing with a cold, flu, cold sores, or other skin conditions that are contagious. This is for the protection of the practitioners performing your service as well as our other clients. TruBliss Wellness & Beauty Spa reserves the right to refuse service to any client for improper conduct. Inappropriate conduct or language during a service will result in immediate termination of the service. We reserve the right to define inappropriate conduct and language. Let Us WOW You… We Love Creating Raving Fans! Our goal is to exceed your expectations on each and every visit. Please share with us how we can make your experience at TruBliss even better! Your feedback and comments matter to us.